A solution to the current prepacked and fast food society. 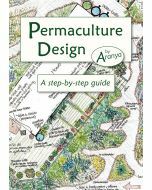 Packed with vegan recipes, fruit and vegetables to grow, forest gardening, permaculture design and ecofriendly living. 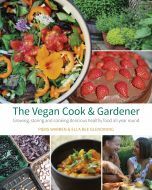 A vegan cookbook packed with wholesome recipes, veganic growing, forest gardening and eco-friendly living. How we eat is such a fundamental part of what we are; yet in our present timepoor culture of pre-packed fast foods, food can become an expensive symptom of alienation and disempowerment. It doesn’t have to be this way! Interspersed with an abundance of delicious, healthy and wholesome exploitation-free recipes, Graham provides solution-based approaches to nurturing personal effectiveness and health, eco-friendly living, home and garden design, veganic food growing, reafforestation strategies, forest gardening, reconnection with wild nature and community regeneration with plenty of practical ways to be well fed with not an animal dead! This is vegan living at its best. "Some of us try hard to do the best for ourselves, our families, our animals, and our planet. Sometimes we struggle, sometimes we need help. Here is help. After reading this book I didn't just think, yes I can, I said, yes I will." "Hugely inspiring and fantastically useful. I love the mix of Graham's cheerful tone, quirky pictures and hard-won experience. This book will interest anyone seeking to live more enjoyably and with greater autonomy whether vegan or not."